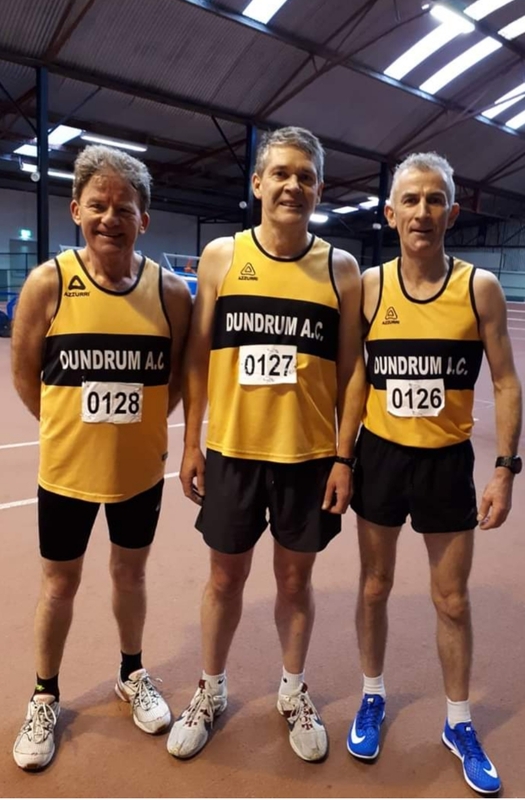 The Munster Master's Indoor 3,000m Championships were held on Sunday February 10 in Nenagh Indoor Stadium. We had three athletes compete. In the O50 category Dermot Hayes won Gold in 9:43. In the O55 category Michael Moore won Bronze in 11:20. In the O60 category John Moore won Silver in 11:28. This was John's first track race in over 10 years. Well done to all three it's a fantastic achievement to bring a medal home in all three age categories. The Cork BHAA Janssen 6k was held on Sunday the 10th of February in Little Island, Cork. It was a cold and windy day. We had two athletes compete. Dymphna Ryan had a fantastic race to place 31st overall and 3rd Lady in 23:14. Laura McCarthy Armstrong also ran to place 84th in 26:18.